The Aluminum Degassing and lining material are high-silicon melt materials, which are characterized by low heat-shrinkage shrinkage and molten silicon has a very good resistance to thermal shock. The Aluminum Degassing lining material is added with some materials that do not invade the aluminum liquid to ensure its service life. The process uses “microporous insulation material”, and the high-efficiency heat insulation material makes the filter box lining after continuous use, steel The surface temperature of the structure is low and the deformation of the inner liner is small. Customers can customize the lining of the aluminium degassing machine according to their needs. The Aluminum Degassing lining has high hardness, low expansion coefficient, good thermal insulation effect, strong anti-wear and anti-corrosion performance. The Aluminum Degassing lining has good thermal shock resistance, is resistant to chilling heat, has a small coefficient of thermal expansion, and maintains a stable shape at the working temperature. It has excellent non-wetting properties with aluminum. The aluminum liquid does not stick to aluminum after flowing, and is easy to clean and durable. Good properties, good surface strength, aluminum-resistant liquid scouring, corrosion, no moisture absorption, no aeration of aluminum liquid, lower density than aluminum, good chemical stability, no reaction with aluminum at working temperature. 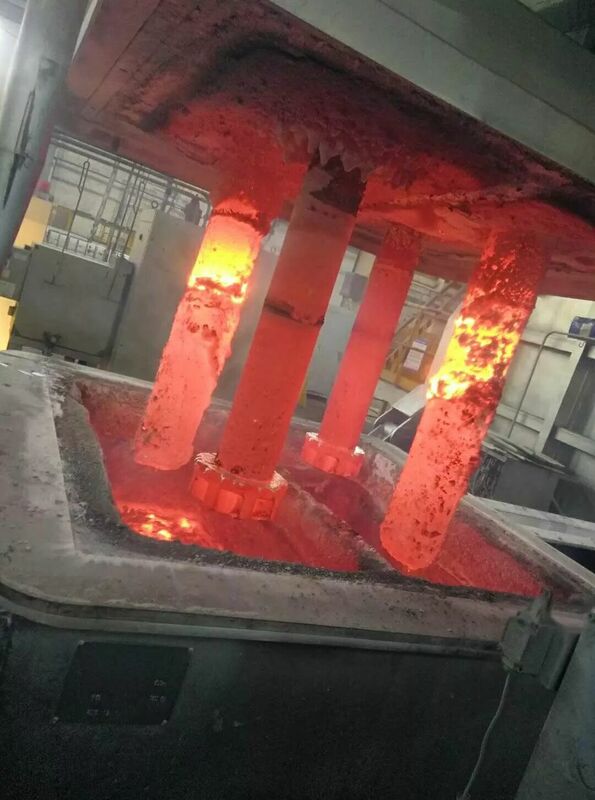 The Aluminum Degassing graphite rotor on the deaerator adopts a hydraulic lifting system: the heating system adopts silicon carbide sleeve intrusive heating, and the degassing machine inner liner is processed by a special process and cast by using various high temperature resistant materials. 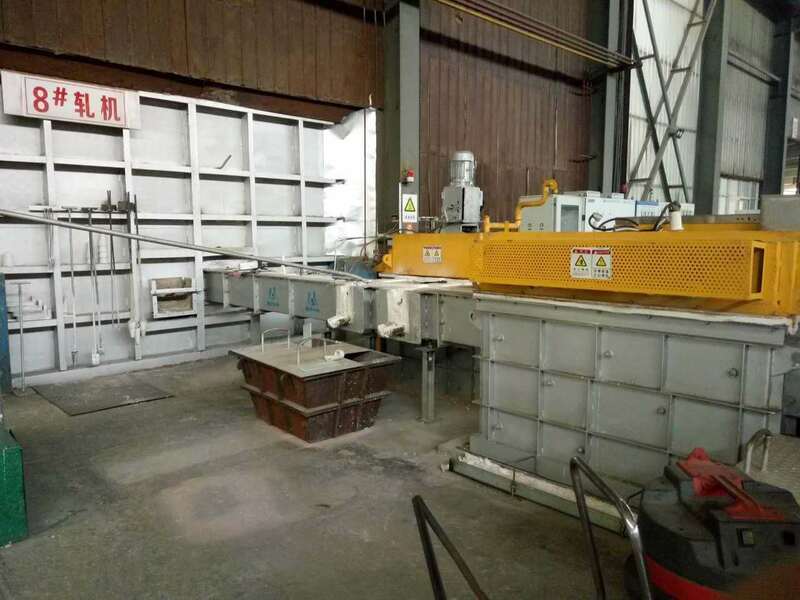 The Aluminum Degassing Machine is placed between the holding furnace and the casting machine, and the nitrogen gas blown into the aluminum alloy melt is chopped by the rotating graphite rotor in the degassing treatment tank to form a large amount of dispersed bubbles. The aluminum alloy liquid is sufficiently contacted with nitrogen in the treatment tank. According to the pressure difference and surface adsorption principle, the bubble absorbs hydrogen in the melt in the melt, and adsorbs the oxidized slag (large in a collision manner, small in a radial intercepting manner) and then rises to the surface of the melt to form a float. Slag. The aluminum alloy melt flows from the outlet of the degassing device (located in the lower part of the scum) to the casting machine, and the aluminum alloy liquid continuously enters the degassing device, and the nitrogen gas is continuously blown in, and the purpose of purifying the aluminum alloy liquid is achieved with the purification treatment.